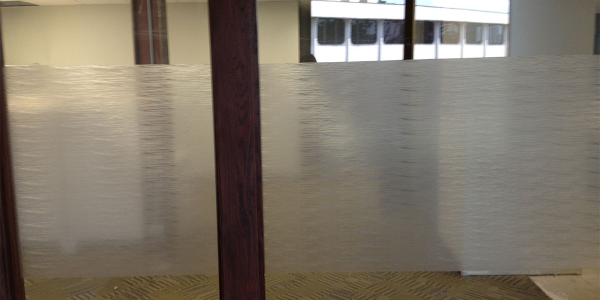 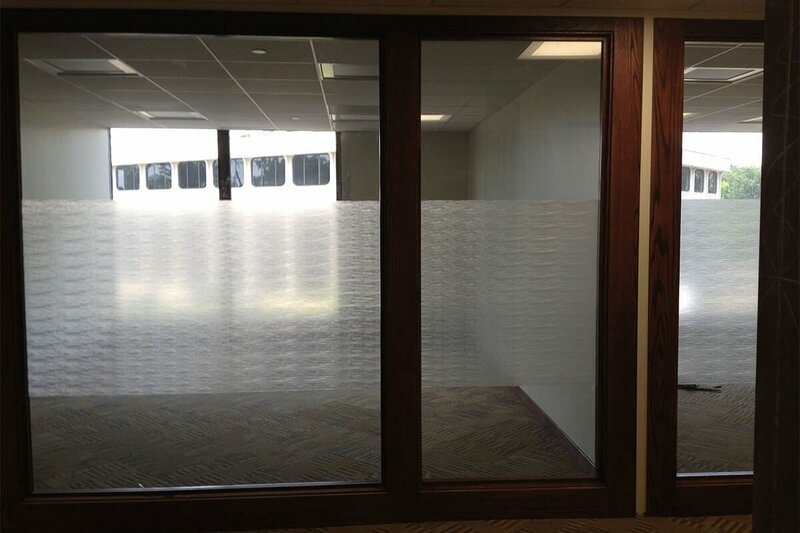 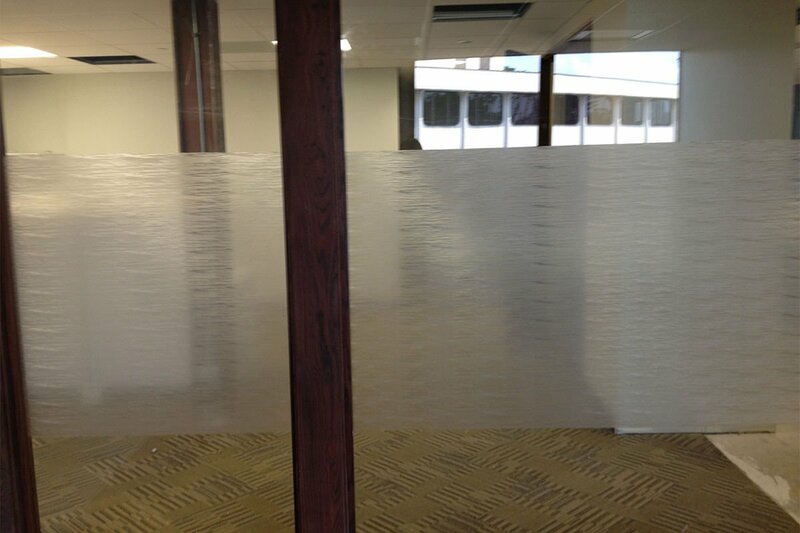 Corporate office center installs decorative, privacy window film to enhance architectural aesthetics. 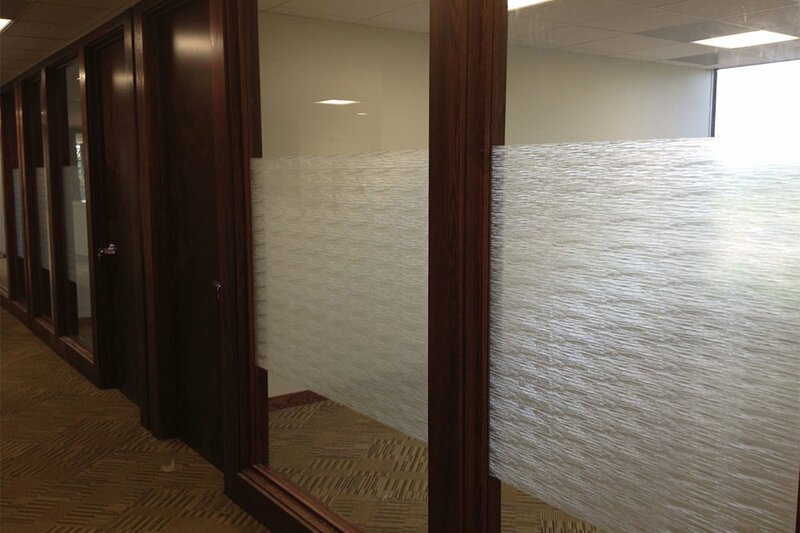 The building manager of this Chicago office complex requested a solution to add privacy, while maintaining the original look and feel of the interior design. 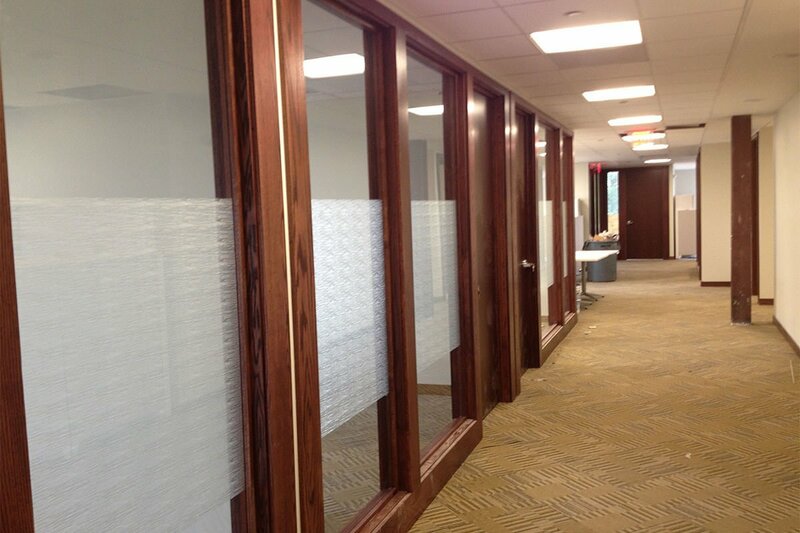 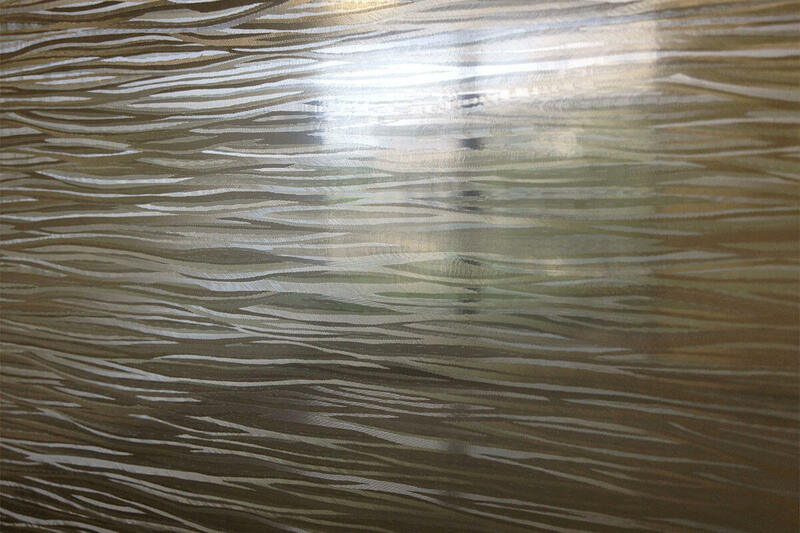 We recommended installing Solyx decorative window tinting throughout the complex.